Over the last 8 years there has been a significant influence of the BRICS countries ( Brazil, Russia, India, China, South Africa) on the global economy. What was the prerequisite for the unification of the countries, so different geographical location, and the level of political and economic development? What changes are expected to the largest economic bloc in the long term to 2025? The unipolar model is unable to cope with the global office. Exhausted and its financial structure which in fact serve only the interests of developed countries. It does not suit developing countries that put forward new approaches to reforming the system of economic regulation. BRICS - Brazil, Russia, India, China and South Africa inter-state bloc formed by countries with economies in transition, is a fundamentally new form of international cooperation based on equal access by countries to sources of funding and markets, combined state planning and a market economy, polycurrency financial system, while respecting their sovereignty and cultural and civilizational identity. The countries belonging to BRICS is 26% of the land area and the total population is 43%. The combined gross domestic product (GDP) is equal to 18.5% of (PPP – 26,7%) the global average . The participating countries account for 11% of accumulated investment and nearly 20% of world trade. Table 1. A summary table of macroeconomic indicators of the BRICS countries (2013). GDP of the BRICS countries, billion. The exports of the BRICS countries, mln. The import of the BRICS countries, mln. What was the prerequisite for the unification of the countries, so different geographical location, and the level of political and economic development? One of the prerequisites made by the high potential for further growth and existence of common goals and long-term interests, aiming to strengthen its position and become full players in the international arena. Their economies over the past 10 years has increased in 4.2 times, while the developed economies grew by only 61%. In addition, they are largely complementary. In particular, Brazil's economy focused on agricultural production and energy of Russia and mining energy and hydrocarbon resources, India is manufacturing IT, as well as intellectual resources, China is a relatively low-cost labor in the production of goods, South Africa – natural resources, giving them an opportunity for further cooperation. To date, the activities of the BRICS bloc is more political in nature than economic. Participating countries hold a point of view that implies the existence of several major centers of power. Based on this, the partners intend to create a counterweight to U.S. policy. The strategic plan places primary emphasis on reform of the global centers of management, primarily the global financial system. The task of strengthening the position of the BRICS in the IMF (have of 14.81% of the vote, which allows you to block unacceptable solutions) and the International Bank for reconstruction and development (the BRICS countries increased their share of votes to 13.2%), the inclusion of the Renminbi and perhaps other currencies of member countries in the basket of major world currencies. In the long term, the creation of an alternative global financial and economic institutions. In this context, as the first steps, consider the creation of a New BRICS development Bank and currency reserve Pool the BRICS, the financial potential of each will be up to us $ 100 billion. In the framework of the currency reserve Pool the BRICS decisions will be made by a majority vote, to refinance all of the participating countries of the BRICS will be with different coefficients proportional to their contributions. China contributes 41% of the 100 billion. Russia, Brazil, India – 18%, Africa 5%, respectively the coefficient of refinancing will be for China – 0,5, Russia, Brazil, India 1, Africa – 2. While each BRICS country, if necessary, can obtain from 30% of their quota, the rest 70% - in the presence of programs with the IMF. Payments in national currency and the abandonment of the dollar will allow the participants of foreign trade operations to save from 2 to 4% of the transaction amount . The new BRICS development Bank will generate additional funds, primarily with the participation of Chinese capital, the funds which can be spent on specific projects. Financing projects in the NBI will be selected by a majority vote. Started, the BRICS Business Council, which promotes informal integration of the countries – participants of the block, formed by a stock Exchange Alliance, which provides a cross-listing of shares from over 7 thousand BRICS companies with a total capitalization of about 8 trillion dollars. 1 inflation (in 2013 inflation rate in India was 10.9 %, Russia – 6,8, Brazil at 6.2%, South Africa up 3.3%, China – 2.6%). 2nd – unemployment. According to world Bank data, the highest unemployment rates in South Africa 25%, and the lowest is observed in India and China, where the rate over the last 10 years has not exceeded the 5% mark. 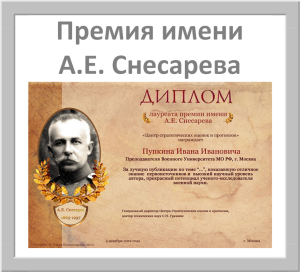 3-I – demography today one of the acute problems of the countries of the Association. China and India suffer from overpopulation, in Russia and especially in South Africa, on the contrary, the lack of population. 4th – corruption. According to the rating of corruption for 2016год South Africa ranked 67, Brazil – 69, India – 85, China 100, Russia - 136. 5 - lack of infrastructure. 7th - the underdevelopment of the financial market. 8th – the volatility of the national currency . What are the prospects of the BRICS bloc? In recent years, increasingly raised the issue of its further expansion. In 2005 Western economists introduced the concept of "next eleven" - Mexico, Turkey, Egypt, Iran, Nigeria, Bangladesh, Indonesia, South Korea, Pakistan, the Philippines and Vietnam - a group of countries with developing economies and large populations are potential candidates for accession to the BRICS. Note especially Mexico and South Korea, have sufficient economic potential. However, further expansion of the group of BRICS countries today is inappropriate. Ill-conceived expansion at the expense of new members may lead to greater fragmentation and ineffective coordination of the Association. The BRICS countries have yet to complete the process of formation, and at the moment is more important for them to develop internal communication than to grow outwards. Economists suggest four development models of the BRICS. Each of them denies the possibility of others. Most likely in practice will be implemented three models. Conservative, which involves the development of integration processes on the basis of the traditional options to expand in different fields and projects of cooperation in which the interests of all BRICS countries. Similar directions in many spheres of life, in particular, such as: political, economic, social etc. a Bright example is "the Strategy of economic partnership of the BRICS countries up to the year 2020", which was adopted at the summit in UFA in 2015. In this strategy outlined the main underlying principles on which it was subsequently built economic cooperation, and also identified priority areas of cooperation in trade, investment, industry, energy, agro-industrial complex and other industries. In addition to the strategy was proposed "road map", bringing together promising joint projects, the implementation of which the interests of all participating countries of the BRICS. To date, a conservative model is the leading direction in the development and improvement of policy of the BRICS. The second model supports the targeted development of bilateral relations between individual countries, members of BRICS. The main mission of this model is the use of the world's best bilateral practices to create multilateral cooperation mechanisms in the framework of BRICS development. For 2016 there were two practices of such cooperation in the face of Russian-Indian and Russian - Chinese relations. So, in the last practice, Russia and China have created a Russian-Chinese Commission on investment cooperation. Through such cooperation the agreement was reached on creating a Russian-Chinese investment Bank, which should become a platform to attract Chinese investors to place securities of Russian companies on the stock markets in China and other Asian countries. As for another positive practice is the cooperation between China and India, have signed for 2016 around 26 deals worth $ 22 billion. These agreements affect the financial sphere, construction, development of alternative energy and the creation of industrial parks. The third model can be described as a "Union of unions". This is due to the active interaction between the individual countries-participants of the BRICS in the framework of other international associations. Practical experience today shows that China is included in East Asia summit (BAC), India in the South Asian Association for regional cooperation (SAARC), Russia in the EEU, Brazil – in the Union of South American Nations (UNASUR), South Africa – the South African development community (SADC). It should take into account multilateral organisations, such as the Shanghai cooperation organization (SCO) which includes already three members of the BRICS – Russia, China, and India, Union of India, Brazil and South Africa – IBSA. Under the fourth model, it is necessary to create institutions in the BRICS, which will have a multiplier effect on the development of this economic bloc. Another important project contributing to the deepening cooperation of the BRICS countries is the establishment of a zone of free trade and investment in the framework of the Association. So, during the abolition of customs duties, taxes and charges, and quantitative restrictions in mutual trade, possible trade barriers between the member countries of the FTA. This becomes especially apparent in the new TRANS-regional agreements (TRANS-Pacific partnership (TPP) 13 countries, the transatlantic trade and investment partnership (TTIP) – the EU and the US, the comprehensive economic and trade agreement (SETA) – the EEC countries and Canada, the FTA EU – Japan, etc.). Many mega-projects are cross-character due to the participation of the same States (countries in EEC, USA, Japan), which actually brings the conditions for the functioning of these economic partnerships. Probably, the world economy enters a new stage of globalization, the hallmarks of which is the formation of new economic alliances and their subsequent splicing. BRICS countries cannot ignore these profound changes in the global economy related to the development of transregionalism. Some of them realized the necessity of liberalization of mutual trade and investment. At the beginning of 2015 China signed 12 and preparing 7 more FTA agreements with the Republic of Korea, Australia, Japan, ASEAN countries, the cooperation Council for the Arab States of the Persian Gulf, Israel. Huge FTA will arise in connection with the project of a new "silk road", which will cover 20 countries. The project of construction of infrastructure objects, providing ties between China and the EU, provides for the creation around them of a common economic space. Russia participates in the Eurasian Union, where there is a Customs Union will create common space for the movement of capital, and in the CIS free trade area. The EEU signed an agreement on the FTA with Vietnam, is in talks with Egypt, Israel and other countries. India and Brazil announced the conclusion of an FTA with the EU in the near future. Table 3. Existing interstate agreements on free trade, investment and taxation . In the liberalisation processes of development in the terms of trade and investment in BRICS is actively interested in business. 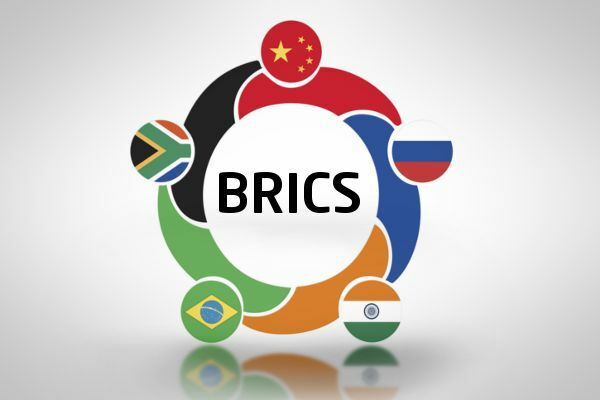 The Agency for strategic initiatives (ASI) made a proposal to create a BRICS Business Council a new working group on supporting investment and remove administrative barriers. The heads of the national parts of the Business Council of Africa, India, Brazil and China suggested the use of a common approach to standardisation and regulations for enterprises of the BRICS, and also to join forces in the efforts to reduce administrative barriers in the sphere of tax and customs administration, the organization of the visa regime and phytosanitary standards. According to world Bank forecasts, it is expected that by 2025 the size of the BRICS economies will be equivalent to half of the Big Six economies, and by 2040 will exceed them. Consideration of economic indicators of the BRICS countries leads to the conclusion that although the BRICS countries and have significant potential for further successful development requires coordination of efforts and the transition from quantitative development paths to quality. T. A. Kulakov, S. A. Kaverzneva "Perspectives of new development institutions of the BRICS countries" / Vestnik of Saint Petersburg University, 2017.- 23-25 C.